Friends 4 Friends: a new community, a new movement, and one of the new RSO’s on UD’s campus. It is an empowering community of students who are actively changing the way mental health is viewed on our campus and raising funds to better our campus’ resources along the way. This is the way we are ditching stigmas centered around mental health and standing up to be advocates for ourselves and for each other. I think if we all just realized that no matter who you are, no matter where you come from, no matter what demons crowd your brain, there is help out there. I am so touched to know that Connor’s lively spirit and beautiful soul can live on through his friends and family, who are doing amazing things to ensure that no one feels alone. 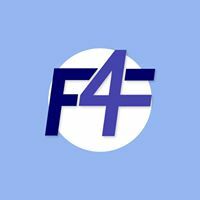 F4F is going to be that breath of fresh air for so many people, and I am so thrilled to be a part of their marketing team as the Blog Coordinator. I know that it can be incredibly difficult to take a step back sometimes and have perspective. We are so enveloped in this bubble of balancing school and social lives, applications and relationships, that we forget how important it is to take care of our bodies, our brains, and to empower each other. Not only is Friends 4 Friends a blossoming community, but we have goals and we will be consistent in each effort to change the way we view mental health. We will be having conversations, we will be fundraising (and the money will go directly back into research, bettering UD’s counseling center’s resources, and scholarship funds). It is not just about encouraging students to seek help when they need it, but being there for them along the way and showing them how it is possible on our own campus.